Robin is finally a blogger! On April 7, 1978, I took my first breath in a hospital in Pawtucket, Rhode Island and my brother was at home playing video games or building his latest computer. So I guess you can say technology started to impact my life on the day that I was born. ﻿﻿ ﻿﻿﻿﻿﻿﻿﻿﻿T﻿hanks to Texas Instrument, I spent many road trips playing word games with my Speak and Spell. I loved the Speak and Spell's robotic voice so much that I would talk to it when I was bored or lonely and type a word so it would talk back. I would also spend countless hours reading books with my Magic Wand Reader(see video skip to 1:36)which compares to a Leap Frog tag reader of today. I think this was one of my all time favorite toys. 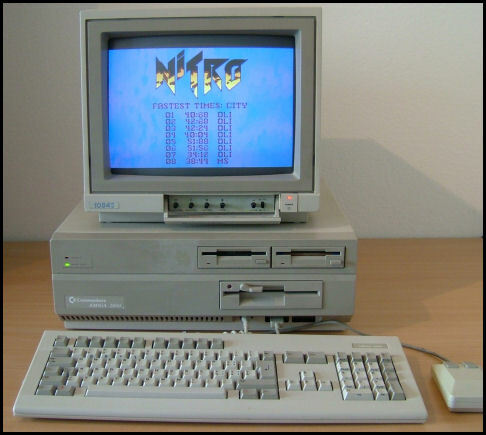 The Internet has played a big part of my life since the late 80's early 90's. Using the lovely dial network through Prodigy. In 1994, I went to my sophomore prom with a boy I met on a Christian chat room. This may have been the very first online date. I relied on the Internet on my first year of marriage. One week after my wedding my husband was deployed to basic training then Afghanistan. Thanks to Skype we made it through that difficult year. I felt like I was married to my laptop for a year but it helped so much just to see his face everyday and know that he was OK. I have seen the Internet at its infancy stages to what it is today, which is too big for me to begin to comprehend. The Internet has helped me tremendously through the years. Whether it is finding research for a paper, finding a job, a place to live, social networking or using the Internet to enhance my lessons and students understanding, I am truly grateful. Even though I have had technology my whole life, I would not consider myself a tech savvy person. What I am good at, is figuring things out but I always feel a little behind when it comes to trying to keeping up with the rapid changes of the tech world. I am eager and curious to see what major changes the tech world will have for in store for the future and how those changes will impact my son's life. Robin, nice job with the graphics and lay out. I also played on the Atari videos growing up, it's amazing how video games have developed over the years. I think back on the how unattractive those games actually were, compared to video games of today. You also made me remember the leap frog gadgets, and how much my own children really enjoyed them. You're right, they did entertain them on road trips. Skype is also a terrific tool, for just the reason you mentioned. 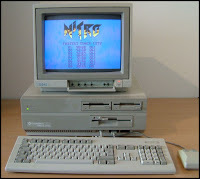 The computer picture you posted reminds me of the first computer I played on as well as a child! 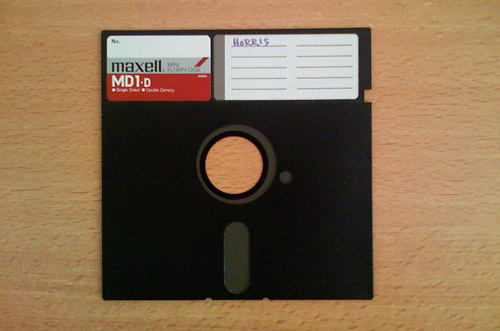 It was very big and I also remember the floppy disks, saving everything on those now we have ones much smaller (i forget what they're called!) I played video games as a child as well with my brother and sister, nindendo I remember. Skype also has helped me stay in touch with friends who travel for long periods of time. At one point, similar to you, I was dependent on Skype to communicate with some friends who were away in Ireland for many months. It is amazing how much we can do with technology, I as well try to keep up and like to experiment with new things, but as they are happening so quick there is a lot more to learn and can only imagine what technology is going to be in your son's life! Skype and FaceTime are invaluable personally and in the classroom. I have a brother and family that lives in Brazil. I love talking with them on Skype, but even better are the shows my grandchildren put on their livingrooms because Papa and Grammy are watching. When I talk about Skype tomorrow, I will be demonstrating a list of children's authors who will Skype with classrooms at no cost. Students connect with books when they connect with the authors. Too Dumb for Complex Text? Is Wikipedia a Friend or Foe?